In A-G of Trinidad and Tobago v Maharaj the High Court and Court of Appeal in Trinidad decided that the Judicial and Legal Services Commission (which appoints High Court judges) should comprise just judges and ex judges. However, in an important new judgment delivered on 11 February 2019 the Privy Council reversed the Trinidad courts and significantly altered the process for selecting judges–by extending the membership of the Commission to non-lawyers. The Privy Council did not explain the controversial background to the appeal at any length. However, in April 2016 the Commission announced a number of High Court vacancies. On 15 March 2017 the Commission announced the appointment of new High Court Judges including Marcia Ayers-Caesar, the former Chief Magistrate. The Commission’s procedure in its recruitment interviews, was to ask candidates routinely, should they be successful, when they could assume duty, having regard to their outstanding professional commitments. The Commission then discovered that the list of outstanding cases Ms Ayers-Caesar had to decide was much larger than that which she initially disclosed. Her non-disclosure generated great controversy and on 27 April 2017, she resigned from her High Court appointment. Two new High Court appointments were made 5 June 2017, and a public interest constitutional motion was brought making two complaints: first, that the Commission had comprised only four (rather than 5 members) in the preceding 14 months, and secondly, that the Commission could not solely consist of judges and ex-judges. An injunction was granted by the first instance judge, but the Court of Appeal reversed it the following day, holding that the Commission might comprise only 4 members and that it was lawful for its members solely to comprise judges and ex-judges. The applicant then appealed the decision to the Privy Council. (1) There shall be a Judicial and Legal Service Commission for Trinidad and Tobago. (c) such other members (hereinafter called “the appointed members”) as may be appointed in accordance with subsection (3). (b) two from among persons with legal qualifications at least one of whom is not in active practice as such, after the President has consulted with such organisations, if any, as he thinks fit. Both parties to the appeal agreed before the Privy Council that the Commission must comprise five members including one judge in accordance with s 110(3). The debate, therefore, focused on whether more than one judge could be appointed to the Commission under s 110(3). The appellant argued that s 110(3)(a) and (b) establishes two mutually exclusive categories of members. He said that the reference, in each of the two sub-paragraphs, to appointment “from among persons”, demonstrated that two separate pools were being defined. He also submitted that the language of section 110(3)(b) was not designed for judges: the idea of a judge returning to practice would have been alien to those drafting the 1976 Constitution. In fact, a judge did retire from the Bench in 1981 and returned to private practice. This was sufficiently controversial for the Chief Justice to seek views on the propriety of this move, and to call for legislation to regulate the position. The appellant also submitted that there are sound reasons why judicial appointments commissions should include some non-judicial members: see e.g. Commonwealth (Latimer House) Principles in the Three Branches of Government (2004), §II.I; Venice Commission, Report on Judicial Appointments, §§27-30 (2007); European Network of Council’s for the Judiciary, Dublin Declaration on Standards for the Recruitment and Appointment of Members of the Judiciary (2012), §II.2; van Zyl Smit, The Appointment, Tenure and Removal of Judges under Commonwealth Principles: A Compendium and Analysis of Best Practice (Report of Research Undertaken by Bingham Centre for the Rule of Law) (2015), §1.6.16. Furthermore, an active practitioner may have had better insights into the realities of practice, and the practicalities of proposed appointments, than a retired judge and might have anticipated the problems that surrounded Ms Ayers-Caesar’s appointment. By contrast, the State emphasised that the starting point for interpretation was the wording of the provision itself, and cautioned against paying inappropriate attention to other considerations such as context and purpose. It contended that the plain and unambiguous meaning of section 110(3)(b) is that two people who have legal qualifications must be appointed (which can plainly include a judge or retired judge) and at least one of them must not be in active practice. Nothing in s 110(3)(a), or in s 110 as a whole, required a different reading. It was therefore argued that the two parts of section 110(3) overlapped, and that there were obvious practical benefits in having more than one retired judge on the Commission. The Privy Council took the view that the key issue was the proper interpretation of s 110, an issue which Lady Black described as “not without difficulty”. It did not find the legislative history helpful and could not adopt a purposive interpretation- it was unable to identify a legislative purpose for s 110. Nevertheless, it acknowledged that the 1976 Constitution was drafted at a time when judges were not expected to return to practice as lawyers when they retired from the Bench, an issue which was key to construing s 110(3)(b). The Privy Council took the view that the precise words of s 110(3)(b) were critical, and that the sub-paragraph must be considered in conjunction with the rest of s 110(3), and in the context of s 110 as a whole. It focused on the s 110(3)’s structure: the legislature had taken the trouble of separating the candidates for appointment to the Commission into two distinct and separately described pools in s 110(3)(a) and s 110(3)(b) respectively, and stipulated the number of appointments to be made from each pool. Nevertheless, the Privy Council said that the scope of the s 110(3)(b) pool “is not easy to discern … the meaning of the provision must be assembled from a series of indicators” Furthermore s 110(3)(b) required at least one of the pool of appointments not to be “in active practice [as a person with legal qualifications]”. The Board felt that this requirement involved an awkward use of language- by conflating someone being in “active practice” with a person with “legal qualifications”. But the problem was at its most stark in relation to the position of a serving judge–if, as the Attorney General contended, a serving judge could be appointed under s 110(3)(b). Did the serving judge fit into the s 110(3)(a) pool or the s 110(3)(b) pool? The Board answered the case by deciding that only s 110(3)(a) deals with judges and retired judges, and that they may not also be appointed under s 110(3)(b). The upshot is that the Commission must now include members who are not judges. The Board also confirmed that the Commission must comprise five members (which had become an issue in the Court of Appeal) and made a declaration to that effect. The impact of the decision on judicial appointments in Trinidad is significant, where the Privy Council decision is regarded as a landmark case. The declaration made by the Privy Council means that all future judicial appointments must now be in line with this judgment. 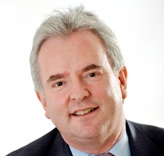 Richard Clayton QC acted for the appellant and practises from Ely Place Chambers. This entry was posted on April 4, 2019 by Constitutional Law Group in Comparative law and tagged judicial appointments, Privy Council, Trinidad and Tobago.